Irritable Bowel Syndrome (also саllеd IBS, Spastic Colon, Mucous Colitis, Spastic Colitis, Nervous Stomach, or Irritable Colon) is a chronic condition involving the large intestine/bowel. It is the most common condition diagnosed by gastroenterologists. Individuals with Irritable Bowel Syndrome may experience abdominal pain, gas, constipation, cramping, and/or diarrhea. Unfortunately, there is no cure for IBS. Generally, the goal of treatment is to relieve your symptoms. 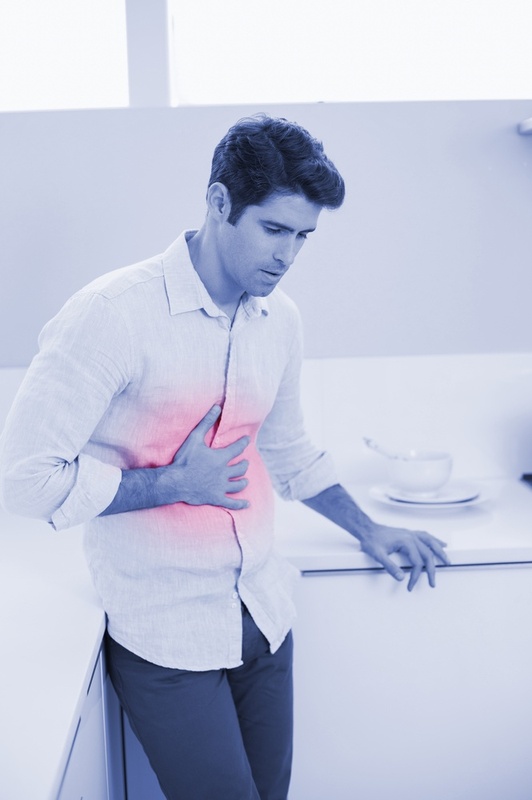 Knowing how to substantiate your Irritable Bowel Syndrome long-term disability claim (e.g., through medical evidence, proof of treatment, etc.) will increase your chances of approval. Here’s what you need to know before filing your IBS long-term disability claim. The symptoms of Irritable Bowel Syndrome can be uncomfortable and distressing. Symptoms vary considerably between individuals and are often worse after eating. An IBS flare-up can last anywhere from 2 to 4 days or longer, depending on the severity of your condition. Anxiety and depression may also occur, often because of the discomfort and embarrassment that can accompany the condition. As a result, many people with IBS report avoiding social situations. The insurance company will require proof of your Irritable Bowel Syndrome diagnosis for long-term disability. Unfortunately, it’s often difficult to provide your diagnosis because your IBS symptoms can mimic other digestive disorders. Diagnosis of Irritable Bowel Syndrome is also frequently delayed because many patients are reluctant or embarrassed to seek treatment. Have there been any changes in your bowel habits, such as diarrhea or constipation? Is there any pain or discomfort in your abdomen? How often do you feel bloated? Do you have a family history of Irritable Bowel Syndrome? If a person has a history of IBS in their family, he or she may be more prone to Irritable Bowel Syndrome symptoms. Do you take acne medications or painkillers? These medications can cause inflammation in the intestines, colon, and stomach, leading to Irritable Bowel Syndrome symptoms. After taking your history and learning about your symptoms, your doctor will likely conduct a physical examination to check for abdominal bloating, listen to bowel sounds within your abdomen, and tap on your abdomen to check for tenderness or pain. X-ray/CT scan to check for other conditions that may cause symptoms that mimic Irritable Bowel Syndrome, such as a cancerous growth or an intestinal blockage. Once other conditions are ruled out, your doctor can make the diagnosis of Irritable Bowel Syndrome. There is stomach pain, discomfort, bloating, infrequent or delayed bowel movements, or hard or lumpy stools. There is stomach pain, discomfort, an urgent need to go to the toilet, very frequent bowel movements, or watery or loose stools. There is both constipation and diarrhea. Notably, many people experience different types оf IBS as time goes by. When evaluating Irritable Bowel Syndrome long-term disability claim, the insurance company will want to see that you’re receiving appropriate treatment. The insurance company can easily use non-compliance and lack of appropriate care as a reason to deny your IBS long-term disability claim. Changes in eating habits may help control symptoms. Because there is no IBS diet that works for everybody, you may need tо go through a “trial and error” process to achieve a diet that works for you. One way to help figure out what works is to keep a Food Diary. Keeping, a record of foods eaten and their effect will help identify the major trigger foods. Some people with IBS need to increase their fiber intake, while others have to consume less. A properly balanced level оf fiber in the diet can help promote healthy digestion. Probiotics. These may help some people. However, the benefits of probiotics may take up to 4 weeks to appear. Water Intake. If constipation is one of the symptoms, increasing water intake may be helpful. Reducing the Intake of Certain Foods. Reducing tea, coffee, milk, cola drinks, beer, and spicy, fried or fatty foods may help. Psychodynamic interpersonal therapy (PIT), where the therapist helps you explore your past to find out whether anything may be affecting you unconsciously. Hypnotherapy can help your unconscious mind's attitude to symptoms. Cognitive behavioral therapy (CBT) fosters strategies fоr reacting differently to the condition through relaxation techniques and a positive attitude. Antispasmodic medications reduce abdominal cramping and pain by relaxing the muscles in the gut. Bulk-forming laxatives can help relieve constipation. These can be purchased over-the-counter or online, although they should be used with caution. Antimotility medications for diarrhea include loperamide, which slows down the contractions of the intestinal muscles. Loperamide may be purchased online. Trісусlіс antidepressant (TCAѕ) often help to reduce abdominal pain and cramping. Medications are usually the last line of treatment when other lifestyle or therapeutic interventions have failed, and symptoms remain severe. The symptoms of Irritable Bowel Syndrome can be severe and disabling. However, the insurance company may not understand the nature and significance of your symptoms, or how they impact your job. To increase your chances of long-term disability claim approval, you can explain how and why each of your symptoms prevents you from performing your job duties. For example, diarrhea or the need to move your bowels 3 or 4 times before you leave the house, may cause you to be late for work constantly. As a result, you may miss an important meeting or telephone call with a big client. Once you get to work, your symptoms may force you to always be in close proximity to a bathroom in case of an IBS emergency. Your unexpected, frequent trips to the bathroom may force you to put a telephone call on hold, ditch a meeting, or cut a presentation short. Worse yet, the prolonged, frequent bathroom visits can cause you to be "off task" for a significant portion of the workday. This can be particularly problematic if you are required to meet strict deadlines. In addition, your diarrhea and frequent bowel movements may cause you to be up all night running back and forth to the bathroom, resulting in severe fatigue the following day. Alternatively, your constipation may cause severe abdominal pain and cramping, thereby reducing your ability to concentrate or focus on your job tasks. Your excess gas can not only be embarrassing but can also be distracting to co-workers -- leading to further reduced productivity. For these reasons, it can be extremely helpful to explain how your symptoms prevent you from performing your job by preparing a written, detailed narrative for your insurance company. Make sure your narrative addresses all your symptoms by listing them separately. Because the symptoms of IBS can be episodic, your narrative should address the frequency of your symptoms, as well as the frequency and length of your trips to the bathroom. When determining whether your Irritable Bowel Syndrome is disabling, your insurance company will also want to opinions of your treating doctor(s). Your doctor’s support is key. Your doctor's reports should detail the frequency and severity of your symptoms, any positive physical examination findings, their direct observations of you during office visits, and the specific restrictions and limitations that prevent you from working. Your narrative and your doctor’s support will go a long way to help prove your Irritable Bowel Syndrome long-term disability claim. Irritable Bowel Syndrome is a very common medical condition that can result in long-term disability. It is very difficult to diagnose, and treatment can prove challenging. Knowing how to substantiate your IBS long-term disability claim will significantly increase your chances of approval. To get your Irritable Bowel Syndrome long-term disability claim approved, your claim should be supported by sufficient medical evidence and proof of your symptoms. It is also important to explain and document your attempted treatment methods. Don't assume the insurance company understands why your Irritable Bowel Syndrome is disabling. You have to explain it in detail.